All through April I will have my books available for free on Amazon. It’s been a while since I ran any promotion, and April felt like a good month for it. Spring is here and many of us will be doing some sort of Spring cleaning or other, and since we are already getting rid of clutter and items that have piled up and we no longer need, our mind will be on the right place already, to maybe try and go a bit deeper, and work on getting rid of some of the emotional clutter we all carry around. The weather will be on our favour too: longer days mean more hours of sunlight, bluer skies, more flowers, all things that will help us feel better and stronger, without even having to work at it. It is normal to think of the New Year as the time to start a healing process, but actually, (at least in the Northern Hemisphere) that is the hardest time to try and dig deep into our fears, worries and stress. Think about it: the days are short, cold, wet and (if you leave somewhere in the British Islands) constantly grey; and because of the weather conditions we are also more likely to be feeding our body all the things which contribute to mood swings and low moods: cake, chocolate, coffee, hot chocolate, fried foods etc. On the other hand, Spring is warmer, sunnier and (hopefully) drier. It encourages us to be outside, to spend time in nature, the Sun boost the production of serotonin which in turn makes us happier. And if this is not enough to convince you, think about it in the context of Nature: Spring is when things begin, Winter is when things rest, and wait for the nice weather to come back to life. If you’d like to do some Spring Cleaning of your soul, as well as your home, you can get my book “Holistic Decluttering” for free on Amazon until Friday 12th of April. If you are more interested in letting go of the past, healing old wounds and working with the power of Gratitude you may want to check my book, “3 Great Practises that will change your life“. This is a small book with exercises, Ho’oponopono and meditations to help you feel lighter and sunnier. It will be available for free on Amazon from April 23 to April 27. Finally, the first book I ever wrote, “So… what is the Law of Attraction” will be available for free on Amazon from April 16 to April 18. This book wasn’t meant to be a book at all. At the time, when talking to people that had never heard of anything holistic, I found that I struggled explaining why I acted or believed certain things. It was especially hard because I had read so many books, gone to so many workshops and developed so many intuitions about things that I had sort of forgotten how I had arrived to any of the things I knew. A bit like when someone asks you a Grammar question about your own language. Do you even remember why something is said in a certain way and not another? Probably not. You just know. I thought I could write a short document (short being the keyword) to organise my own thoughts, make it easier for me to explain things when someone asked me, and to remind myself of why I believed in the things I did, (and maybe, only maybe, so I could give it to my boyfriend at the time, so he could also understand how I saw the world). This is a great book to get the basics about how our thoughts impact our reality. How our subconscious mind stores information and uses it to direct our lives without our knowledge (which explains why sometimes we keep repeating the same mistakes or encountering the same type of person over and over again). Unlike the other two books I wrote, there are less exercises and practical things to do, this book is more about getting an idea about how thoughts and actions manifest things and experiences. I have now finally run out of things to say 🙂 Have a wonderful day, wherever you are, may Spring fall upon you like a small miracle. 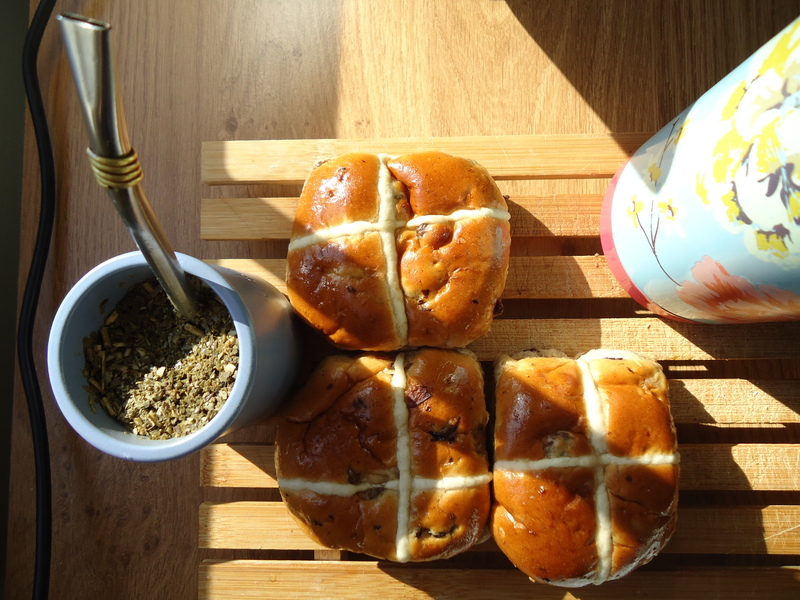 Yesterday I posted an Argentine Easter cake, but of course I couldn’t miss the chance to post about Hot Cross Buns, which are already populating bakeries and supermarkets all over London. I’ve made hot cross buns more than once now and I feel pretty confident that anyone can make them successfully just by following the recipe step by step. They don’t take much time (aside from the rising times which can’t be helped) and the house smells deliciously while they bake. Also the home-made version is less doughy that the ones you get at the supermarket. 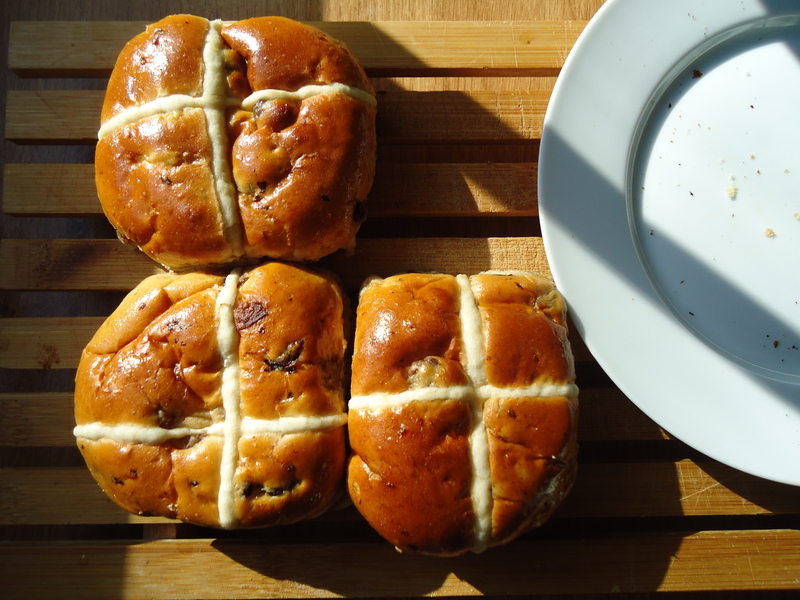 If you have a Gail’s bakery near you and have tried their hot cross buns, this recipe makes buns that are just like those (or even a bit better). Ps. If you like, you can add orange and lemon zest to make them taste extra fruity. 2 level teaspoons mixed spice (I used 1 teaspoon cinnamon, half teaspoon ginger and half nutmeg). 2 tablespoons each of milk and sugar. On his book “How to bake” Paul Hollywood suggests a different glaze which also sounds good so I’m sharing: 2 tablespoons apricot jam dissolved on 2 tbsp water. Heat until the jam is dissolved and paint your buns with it once they are out of the oven. 2.- In another bowl mix the remaining flour, the salt and the spices. Rub in the butter until the mixture resembles sand. 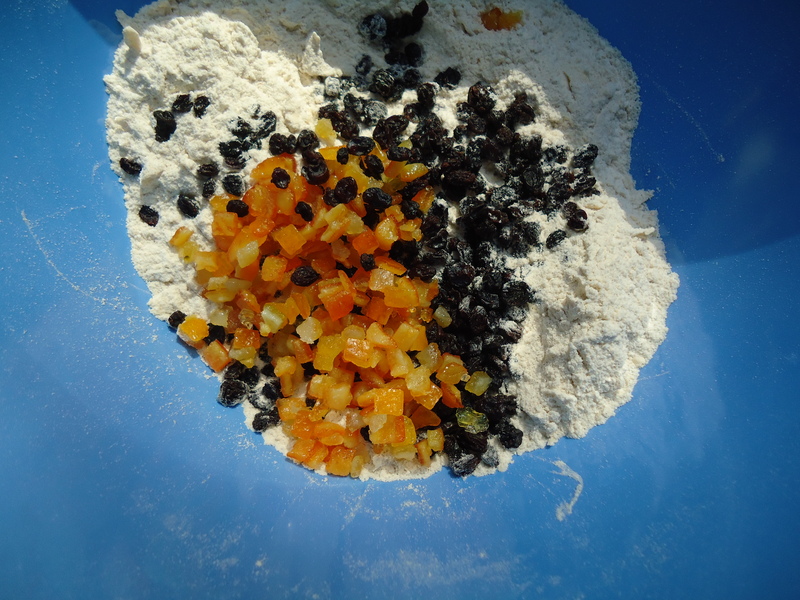 3.- To the flour mixture add the currants, the peel and the sugar. Then make a well in the middle. 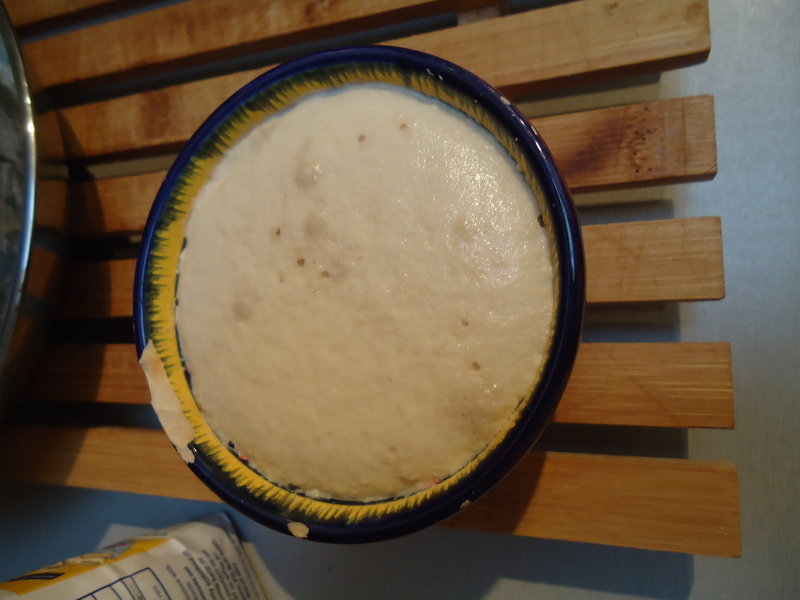 4.- Into the well add the yeast mixture and the egg and mix to form a dough. Tip into a lightly floured surface or work inside the bowl if it is big enough. 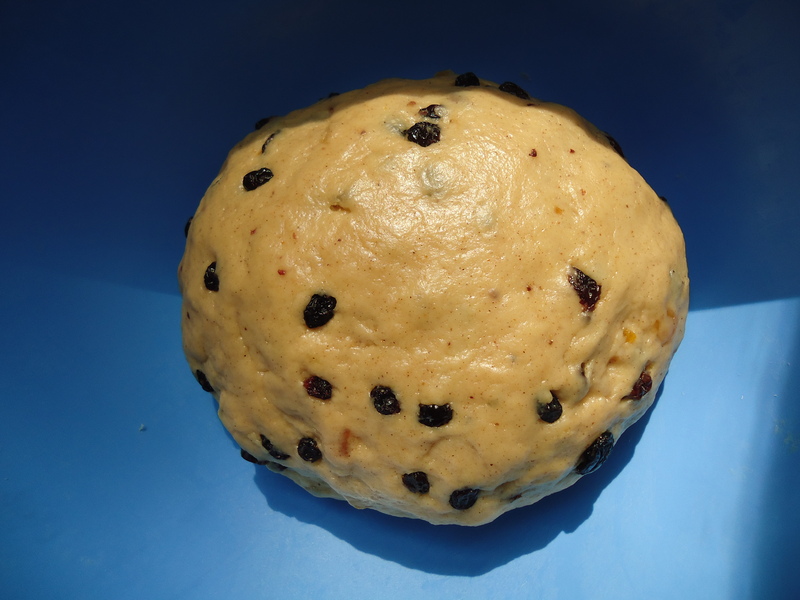 At first the mixture will be sticky, but keep working it and it will turn into a pliable and soft dough. 5.- Your dough has to be soft, so don’t add more flour, rather try to work it carefully for at least 10 minutes till it becomes soft and elastic. 6.- Place the dough into a bowl, cover with cling film or a plastic bag and let it rise for at least an hour, or until it doubles in size. 7.- After an hour, re-knead and divide the dough into 12 equal portions. Shape each portion into a ball. Place, slightly apart, on greased baking sheets and cover. Leave in a warm place for 30 minutes. 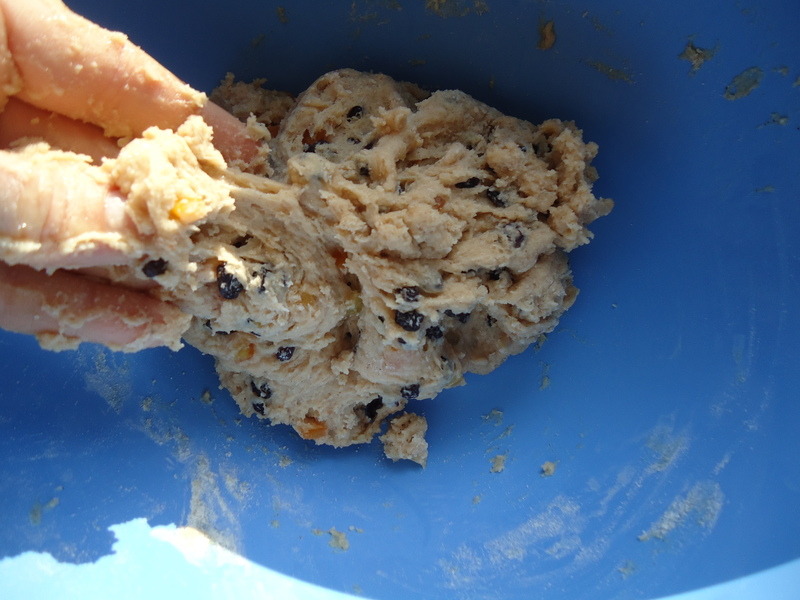 Sift the plain flour and add the oil and enough water to create a paste that will hold it’s shape when piped. Spoon into a small piping bag and pipe a cross on top of each bun. 9.- Bake the buns for 20 minutes or until they are golden brown. 10.- Mix the sugar and milk and heat. Brush the buns with this mixture as soon as they leave the oven. 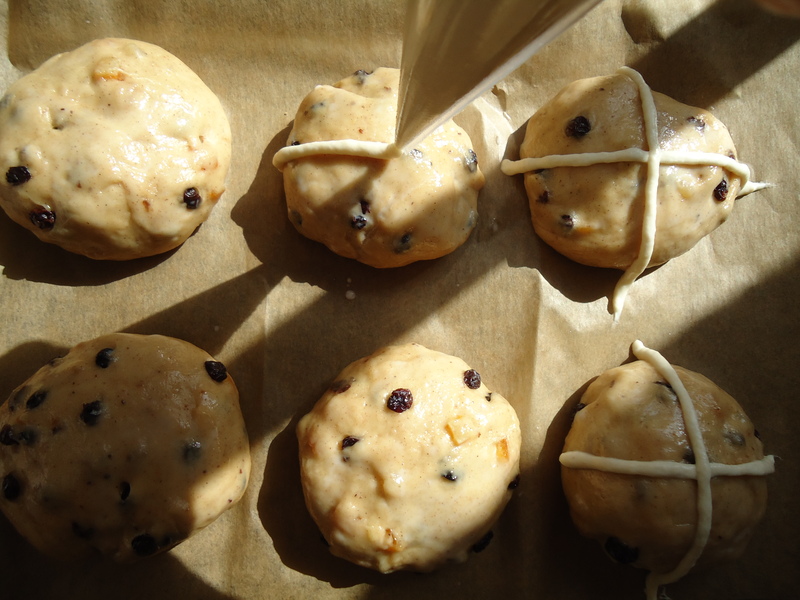 If your hot cross buns come out of the oven still a bit pale, just brush them with the milk and popped them back into the oven with the glaze on…they will come out beautiful! And that’s all! 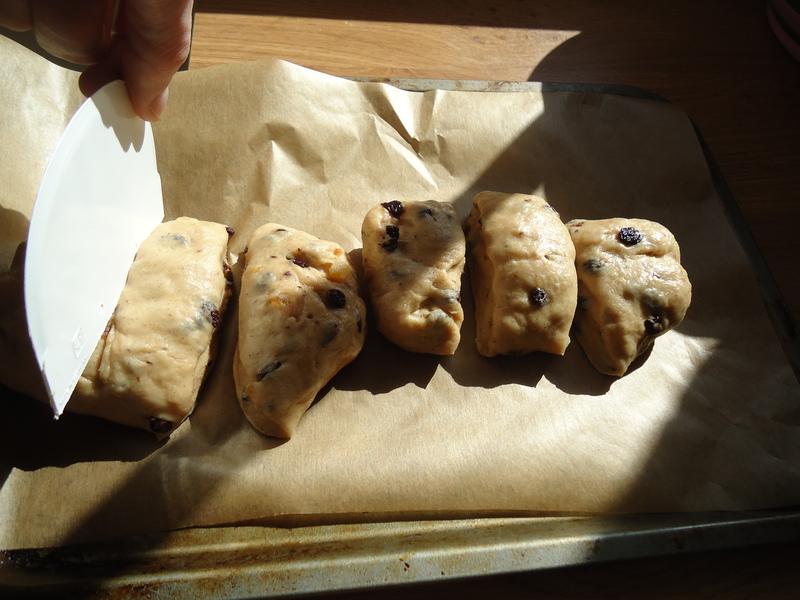 Just 10 steps to home-made, scrumptious, hot cross buns!